We've covered 7 of David Poole's puzzles on this blog. From H dropping A, E, I, O, U starting cockney gimmick to the humorous re-interpretation of Wall Street phrases last month, all of his grids have a different theme type with a distinctive flavor. He is another constructor who constantly strives for originality and entertainment. I had lots of fun with his NY Times' ACRONYM puzzle: URL is spelled out as YOU ARE ELLE? ("Supermodel Macpherson, I presume?"). KGB becomes CAGEY BEE! ("Sly insect!"). Awe-inspiring! David only started constructing in 2008, but he has already had 11 puzzles by the LA Times and NY Times. Amazing record. I asked David a few questions, and was so pleased that he took time answering them. What's the inspiration for this puzzle and what were the other theme entries you considered but failed to make the cut? The seed for this puzzle actually failed to make the cut. It was FRAGRANT FOUL clued as [Wearing perfume in a scent-free workplace, e.g.? ], which I like a lot. Unfortunately, the trailing L fails to be converted into an R, which makes it inconsistent with the theme. So, as is often the case, a lesser entry was needed - in this case, FRAT SCREEN TV. C’est la vie! I’m a mathematician and, like most mathematicians, I enjoy puzzles and anything that involves lateral thinking. However, I don’t have a strong background in any of the other sciences. I think of myself as a humanist dressed up as a scientist. My other interests are art history, film, sports, and pop culture, all of which inform my crosswords. I have solved crosswords since I was a teenager but only got serious about them a few years ago. People frequently gave me crossword compilations as presents but, after receiving an NYT book for Christmas in 2008, my wife suggested that I try constructing puzzles. After pooh-poohing the idea, I realized that she was right (as is usually the case): Why not try constructing? My first few submissions were to to Peter Gordon at the New York Sun (just before it folded). Unfortunately, he rejected all of them, doing little to help my self-esteem as a constructor. (Looking back on those puzzles, I would now reject them too, with one exception.) My first accepted puzzle was by Rich Norris at the LAT. He was looking for a Monday-level puzzle and he liked one I had submitted. It appeared on June 8, 2009, within a month of acceptance! Since then I’ve had nine other puzzles appear, four more in the LAT and four in the NYT. More are in the pipeline. Both Rich and Will are fantastic editors and have been a joy to work with. I have benefited immensely from Nancy Salomon’s advice. In the early days, I routinely ran puzzles by Nancy and she was unselfish and unflinching with her comments. Along with many others, I owe her an immense debt of gratitude. I still seek her advice – although less often – but she is always willing to help. The cruciverb-l listserve is also an incredible source of support. Thanks, Kevin, for setting it up and thanks to the wonderful community that inhabits that list. How would you describe your style? Wordplay and puns seem to be featured prominently in your grids. Loved your YOU ARE ELLE? puzzle. Thanks for the love on my YOU ARE ELLE puzzle. That’s one of my favorites. I do like wordplay and always have. I remember that when I was a kid - probably about 10 years old - my local newspaper ran a contest in which place names were hidden in a cartoon, cryptic style. For example, a cartoon showing a factory supervisor (BOSS) and a 2000 lb. weight (TON) might clue BOSTON. Today, I would have major problems with the way the answers were clued but, as a kid, I loved it! So much so that I decided to devise my own versions of contest entries, just for fun. Of course, my immediate family members were the main victims beneficiaries of my efforts. Puns are fun too but I use them sparingly as theme entries. I’m quite happy to let Merl Reagle look after that! I’m not fond of quote themes either (unless they are really sparkly) or “word that can precede/follow the starts/ends of ...” themes. I imagine that at some point I will do one of these but I’m in no rush. I love rebus puzzles and would love to create an acceptable one some day but, thus far, none of my efforts in this direction have panned out. I also enjoy themeless puzzles but I haven’t tried constructing one yet. I’d have to say that my time is spent in decreasing order on the three items you list. I love coming up with (hopefully) interesting themes. I also try to take time to get a good grid with solid secondary fill. As for the clues, that’s my least favorite part of the process but I strive to get at least 20% of my clues to be fresh. Of course, many clues get changed in the editing process but I’m always happy when the editor leaves my clues alone. What is the most memorable puzzle you've made and why is it special to you? My favorite puzzle is my “cockney-themed” LAT puzzle (May 28, 2010). It was challenging to construct but the theme is the tightest I’ve ever done: The phrases that result from dropping an H begin with A, E, I, O, U, in order in the grid - that was very nice! Rich Norris, as always, was very helpful in suggesting improvements to my original submission. The YOU ARE ELLE puzzle mentioned above is also special as it was one of the first NYT submissions of mine that Will Shortz accepted. Both of these puzzles are especially satisfying since, as far as I know, the themes are unique. What puzzles do you solve every day and which constructors consistently inspire you? I do the NYT, LAT, and CrosSynergy puzzles every day, along with the cryptic crossword in my local paper, the Toronto Globe & Mail – especially the Saturday cryptic by the estimable Fraser Simpson. Otherwise, I love Matt Gaffney’s puzzles and, when I see his byline, I know I’m in for a treat. In addition to his syndicated puzzles, he has his weekly crossword contest which is a constant source of enjoyment/torture. I honestly don’t know how he does it, week after week. Liz Gorski’s Sunday rebus puzzles are classics! I enjoy the playfulness that she exhibits in everything she does. For fresh and fun clues, no one does it better than Bob Klahn. If you want to learn up-to-the-minute pop culture, start doing Brendan Emmett Quigley’s puzzles. He’s taught me about bands that I never knew existed and jargon that I’d never heard before (much of which doesn’t pass the “breakfast test,” but who cares?). He’s also a master of incorporating lively phrases into a puzzle. Among other constructors that I admire are Nancy Salomon, Patrick Berry, Tony Orbach, joon pahk, and the late Dan Naddor. I enjoy reading, hiking, gourmet cooking, and I’m an avid film buff. In my professional life, I’ve written a math textbook and I’d like to think that some of my cruciverbalist interests have crept into it. For example, it includes notes on the etymology of technical terms, historical notes, and quotations - items that many math books eschew. Theme: FROM LEFT TO RIGHT (35A. How most reading is done, and this puzzle's title) - Letter L (after F) in the first word of each common phrase is changed into R.
17A. Halloween tricksters' route? : FRIGHT PATH. Flight path. 23A. Best place to watch "Animal House"? : FRAT SCREEN TV. Flat screen TV. 45A. Feathers? : FROCK OF BIRDS. Flock of birds. 56A. Work the late shift at the diner? : FRY BY NIGHT. Fly by night. C.C. here, pinch-hitting for Lemonade. No BLAND TASTE/DIET to BRAND TASTE/DIET change. I like the extra layer of letter F in front of the L. It tightens up the theme. Also, letter L and R are all common letters, very easy to overlook a straying letter in the conversion process, as David mentioned in his interview. He had to give up his seed entry. A bit tougher than it looks to come up with a set of consistent theme answers. Favorite clue today is ACTRESS (25. Close, for instance). Took me a minute to realize he's talking about Glenn Close. 14. "The Wolf and the Crane" author : AESOP. Very crossword-friendly name. 16. Piece of one's mind? : LOBE. Plays on "peace of mind". 20. Roy Halladay stat : ERA. With the Phillies. He's got one perfect game. Cliff Lee has low ERA too. 22. It may be icy : STARE. Icy stare. Tiger's stare used to be icy and intimidating. Not any more. 29. Kate of "Ironclad" : MARA. 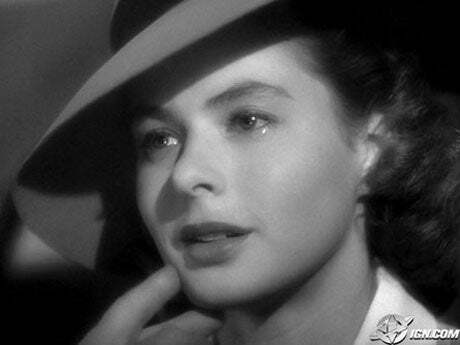 Good actress. I've never seen the movie though. 30. Soften by soaking : MACERATE. New word to me. So close to lacerate. 39. Sherry alternatives : MADEIRAS. Portuguese wines. 40. Albany's father-in-law : LEAR. Had no idea that Albany is Goneril's husband. 42. Eisenhower library site : ABILENE. Kansas. 50. Nigerian seaport : LAGOS. Nigerian's former capital. Current capital is Abuja. 51. Noted Beethoven interpreter : ARRAU (Claudio). From Chile. Rich plays piano, nuts about baseball, has a handicap of 6, so he won't overlook any clue mistake in those areas. 58. "__ no kick from Champagne": song lyric : I GET. What song? 59. Steady : BEAU. Oh, "steady" is a noun here. 63. Third shift hr. : ONE AM. How are shift divided? 1. Champs Élysées feature : CAFE. Lots of. "Give me a reason to love you..". Sophie Marceau is so pretty. 2. Bach title? : HERR. German "Mister". 6. Americans in Paris, maybe : EXPATS. Nice clue. I liked "An American in Paris". 8. Overlord : AUTOCRAT. Great answer. 10. Home at the park? : PLATE. Home plate at a ball park. 13. Desert bordering the Sinai Peninsula : NEGEV. What does this word mean? 24. Moneyed, in Monterrey : RICO. "Rich". Meet Carlos Slim, the rico-est man in Mexico, in the world too. 26. Word spoken with amore : CARA. Italian for "Dear". Roberto used to call me "Bella". I thought he liked me. 31. Little streams : RILLS. Learned from doing Xword. 36. Trounces : LICKS. So many colorful sports phrases for "routs". 38. Royal introductions : FANFARES. Another great answer. 42. France-based jet maker : AIRBUS. Their Boeing. 46. 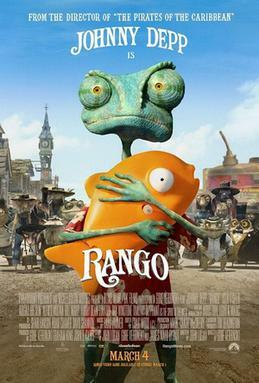 Title chameleon voiced by Johnny Depp in a 2011 animated film : RANGO. No idea. Here is a poster. Not a Johnny Depp fan either. 47. Osmonds' hometown : OGDEN. Somewhere in Utah. 49. Two-time loser to McKinley : BRYAN. Stumper. William Jennings Bryan. 52. Look like a creep? : OGLE. Oh, don't ogle then! 57. Fluoride, for one : ION. Good to know. Theme: MADE IN CHINA. Nine items that were invented in CHINA - the unifier - over the course of millenia, are arranged in perfect symmetry. 1A. *Rock conqueror? : PAPER. Rock-PAPER- scissors game. Oh - and that stuff you write letters on. 10A. *Soy milk brand : SILK. I'll pass on the soy milk, thank you. But high quality fabric made from the cocoon fiber of silk worms is OK by me. 17A. *Dental checkup freebie : TOOTHBRUSH. I always take a red one. 28A. *Wile E. Coyote buy : GUNPOWDER. Ka-Boom stuff. 35A. *Gets creative : NOODLES. I usually think of NOODLING as thinking deeply on a challenging subject, but OK.
39A. *Extent : COMPASS. Not the most obvious sense of this word. Is it within the COMPASS of your vocabulary? 45A. *Flashy display : FIREWORKS. Clever clue, and a carefully NOODLED use for GUNPOWDER. 59A. *Beginner's piano piece : CHOPSTICKS. The eating utensils used in Chinese restaurants that can be tricky to use if you don't know how to hold them. 64A. *Forged check : KITE. We had a discussion of check-kiting recently. 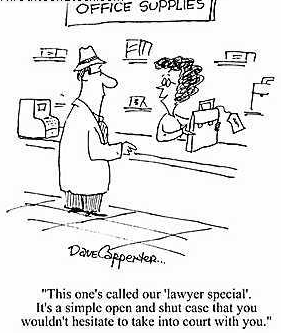 I will defer to the resident legal staff. But the other meaning is a cloth or paper form that flies in the wind on the end of a string. Wow - this is some dense themage in another virtuoso technical masterpiece by our dynamic duo. Note that only some of the theme answers have double meanings. Symmetrical pairings GUN POWDER - FIREWORKS and TOOTHPICK - CHPSTICKS add to the impressive fun. Would you make a KITE out of SILK? If so, add that one in, too. And PAPER plates for CHINA?!? Hi gang, JazzBumpa here. C. C. is rightfully very proud of the rich heritage and culture of her original homeland, and shows them off here to good effect. Let's explore the rest of this puzzle. 14. Diminish, as trust : ERODE. A virtual wearing away. 16. Singer with the platinum 1992 album "The Celts" : ENYA. Eithne Patricia Ní Bhraonáin is a fine lass from County Donegal. Potential ear worm. 19. Hungarian spa city : EGER. I did not know that, sad to say. But I do know of the famous, full-bodied red wine from the surrounding region, EGRI Bikavér - Bull's Blood of Eger. 20. "30 Rock" is loosely based on it, briefly : SNL. Saturday Night Live. Having never watched 30 Rock, I didn't know that either. 21. Georgia campus : EMORY. Pretty frequent crossword grid campus, as well. 22. Transparent personality? : GHOST. This one gave me eyestrain and brainstrain. 23. Webber's partner : PAINE. PAINE, Webber & Co. was an asset management firm founded in Boston in 1880, now a part of trans-national mega-corporation UBS AG, headquartered in Switzerland. 32. Napoleon, before seeing Elba? : ABLE. From the palindrome that everyone knows. 33. Its symbol is "$" : PESO. And its country of origin is the United States of Mexico. 41. "Alice" spinoff : FLO. Everyone remembers her famous quote, right? 42. Gives goose bumps, maybe : AWES. Like Papa Grande shutting down the Indians for his 49th straight save this year. 44. Pennsylvania port : ERIE. On Cleveland and Toledo's Lake of the same name. 48. Umbrella brand : TOTES. Boots, too. 49. Idiot : LUNK. As in LUNKhead, or "Ya big LUNK!" 50. Finalize, as a comic strip : INK IN. Converting a sketch to the final drawing. Now you can do it electronically. 52. Pub drinks : SWIGS. This one fooled me. I was looking for the actual drinks, not the action of drinking them. 54. Sudden outpouring : SPATE. Another learning moment. I thought it was just a large quantity. 55. Sch. with a Phoenix campus : ASU. Arizona State University, home of the Sun Devils. 58. Comic book buyer of old? : DIME. Can't go along with this. As a kid, I was the buyer of many comic books -- with my dimes. 62. Forceful takeover : COUP. 63. John who played Gomez Addams : ASTIN. Father of Sean Astin who played Samwise Gamgee in the Lord of the Rings. 65. Maker of Kate Moss fragrances : COTY. Anybody remember MY SIN? 1. Bo and Barney, e.g. : PETS. The two most recent Presidential Pups. 2. Mountain climber Ralston, subject of "127 Hours" : ARON. No idea. 3. Hustler's game : POOL. AKA billiards, not swimming. The Hustler was a famous movie about a sand-bagging POOL player. 4. Atlanta summer hrs. : EDT. Easter Daylight-savings Time. Toledo, too. 5. Warm up : REHEAT. I thought about playing scales and arpeggios, not nuking leftovers. 6. Crowd : THRONG. Good old Anglo-Saxon word for a multitude. 7. Words to one on deck : YOU'RE UP. Could it be a C.C. puzzle without a baseball reference? Playoffs start Friday. Consult your local listings. 8. Nosegay : POSY. This is correct. I thought a posy was actually a variety of flower, not a small bouquet or single blossom. 9. Bk. before Philippians : EPH. The Epistle to the Ephesians in the Christian Bible. 10. Envision a way : SEE HOW. 11. To a great extent : IN GOOD PART. I guess this is in the language, but it feels very clumsy. 12. Caustic fluids : LYES. Solutions of sodium hydroxide. Would I lie about LYE? 18. ASCAP rival : BMI. Broadcast Music Incorporated collects license fees from businesses that use music, which it distributes as royalties to songwriters. 22. Union member? : GROOM. Along with the bride, he enters into a marriage union. Clever! 23. Like pintos : PIED. Of two or more colors in blotches. Perfect. 24. Lhasa __ : APSO. A small, hairy dog. Terminally cute. 25. Alberta national park : BANFF. Majestic. 26. "Christ Stopped at __" : EBOLI. A social realist political novel by Carlo Levi. 27. Amount requiring a credit card authorization : FLOOR LIMIT. 29. Japanese chip maker : NEC. "One of the world's leading providers of Internet, broadband network and enterprise business solutions." Sounds like another trans-national mega-corporation. 30. Borden mascot : ELSIE. The spokesbovine for Bordon since 1936. 31. Derby prize : ROSES. The Kentucky Derby. 36. Some green acres : LAWNS. My 0.4 acres is more than enough to cut. 37. 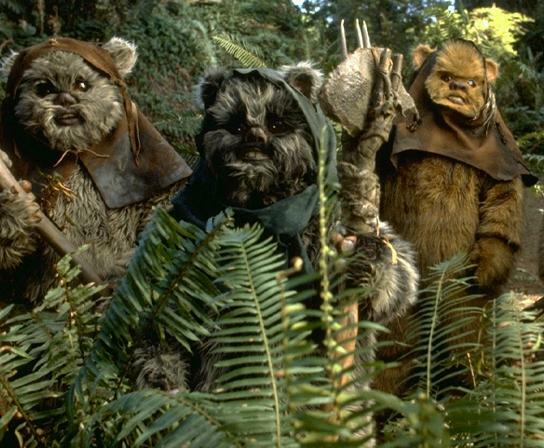 "Star Wars" tree-dweller : EWOK. Lhasa APSO look alikes? 38. Sun. talk : SER Sermon. 40. Drudge : PEON. Hard work, long hours, low pay. 43. Abandon, with "on" : SKIP OUT. 46. Oregon Ducks' home : EUGENE. City in Oregon where the University is located. 47. Irritable : SNAPPY. I thought SNIPPY. SNAPPY to me means lively or quick. 48. Pin in a shirt : TIE TAC. 51. Gold units: Abbr. : KTS. Karats. A unit of fineness for gold equal to 1⁄24 part of pure gold in an alloy. 52. Mt. Rushmore's state : S.DAK. South Dakota. 55. When Emile sings "Some Enchanted Evening" : ACT I. Where: Across a crowded room. 56. Word with care or cream : SKIN. An in-depth look. 57. Oliver North's alma mater: Abbr. : USNA. United States Naval Academy. 59. V x LX : CCC. 5 x 60 = 300, no matter where or when. Or, it could be C.C. - See? 60. -like relative : ISH. Somewhat comparable, relatively speaking. The theme was inspired by one of Dennis' "Did You Know". Don and I managed to fit in 9 of the inventions & CHINA, a rather heavy themage with 70 squares. It is customary in this type of theme to asterisk the clue when there are many theme answers and they are not very long. We also clued each in away that's far from the product itself and with no hint to China. We're happy with the grid and I'm very proud of my heritage. A special "Thank you" to Rich for running this puzzle as close to China's National Day as possible. wasn't sure about the theme until the unifier, and then it was clear. nice shout-out to lemon and hahtool. the grid is visually interesting, looking a little like stair steps. i like the way SHUTEYE looks right in the center. 1. Olds compact : ALERO. a bit obscure for me, needed perps. 6. State secrets? : BLAB. love this clue. 14. Logger's competition : ROLEO. clever word, like a rodeo with logs. an america's funniest videos grand prize winner waiting to happen. 16. Like Switz. in WWII : NEUTral. 17. Bottomless pit : ABYSM. did this remind anyone else of their kids? 35. Cycle opener : UNI. unicycle. 40. She has a memorable smile : MONA LISA. 42. 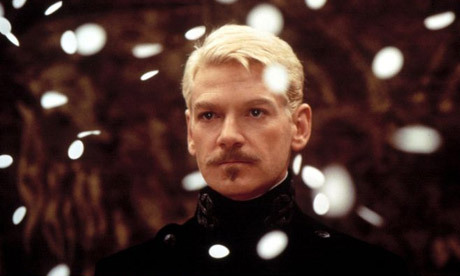 Hamlet, for one : DANE. brilliantly portrayed by kenneth branaugh. 50. Either "Cathy's Clown" singer : EVERLY. i'll spare us all the ear worm. don't think about it!!! 63. Corkers? : IRISH. cork is the second-largest city in ireland. 64. Howard's wife, to the Fonz : MRS. C. from 'happy days' sitcom. the original cougar. 1. Notre Dame's Parseghian : ARA. football coach. 2. Tennis tactic : LOB. a ball hit high and deep into the opponent's court. 3. Bridge guru Culbertson : ELY. i had no idea there was a bridge guru. 8. Chow chow : ALPO. clever. 9. Affectionate gesture con los labios : BESO. spanish. con los labios - with the lips. beso = kiss. muy bueno. 10. Thorough : IN DEPTH. see above. 11. April 1605 pope : LEO XI. 22. "The Family Circus" cartoonist : KEANE. 24. Dickens's Drood : EDWIN. the mystery of edwin drood, charles dickens's last, and unfinished, mystery. 28. Roman numeral : TRE. very sneaky. italian for three. 29. Today, in Toledo : HOY. toledo, spain. hoy is spanish for today. 34. Bug bugger : DEET. 36. November ticket : SLATE. list of candidates. 46. Foster's dream girl : JEANIE. stephen foster's 'i dream of jeanie with the light brown (brunet) hair." covered by sam cooke. hi jeannie! 49. "Hee Haw" host : OWENS. buck owens. 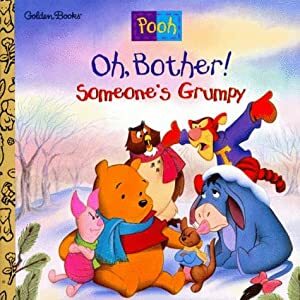 Theme: Oh, Bother! - Self-explanatory theme. Argyle here. This appears to be a debut puzzle for Mr. St. John. Well done. 5. Talisman : AMULET. Just in time for Halloween. Image. 11. Spoil : MAR. As in "My great vacation was marred by the horrible flight home!" 19. Groovy relative? : RAD. Dead relative, I think. But then groovy doesn't look too healthy either. 20. One with an office couch, maybe : ANALYST. Possible connection to our constructor, I don't know. 21. Untrustworthy : KNAVISH. Knave, which formerly meant merely a boy or servant, in modern use emphasizes baseness of nature and intention. 23. __ garden : ZEN. 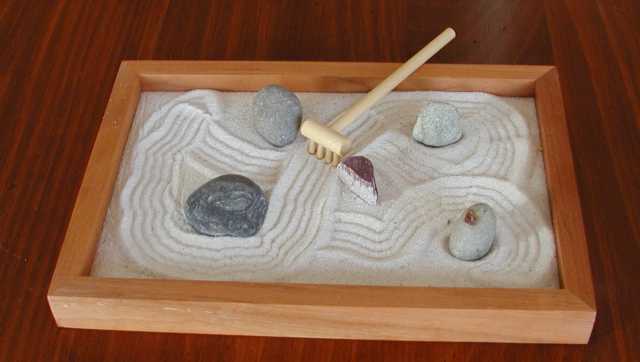 Maybe you could fit this in your carry-on luggage and find inner peace while waiting on the tarmac. Image. 26. Durante's "__ Dinka Doo" : INKA. Clip (3:31) and I pity anyone who gets an earworm from THIS! 33. President when Texas was annexed : POLK. In 1845, the Republic of Texas annexed and admitted it to the Union as the 28th state. 44. Father's Day mo. in Australia : SEP. The first Sunday in September. 52. Moonfish : OPAH. Image. Check out the site it's from. 53. Lumberjack's tool : AXE. An axe and an adze together. 54. Subj. with x's : ALG. Algebra. 63. Roam (about) : GAD. Do you remember this guy? 69. Not optional: Abbr. : REQ. Required. 70. French film festival site : CANNES. On the south coast of France. 71. "__ la vie" : C'EST. French, "Such is life". 6. Spaghetti go-with : MEATBALL. I had marinara first. 12. State with the Big Dipper on its flag : ALASKA. Flag. 13. Papa Smurf's headgear : RED HAT. Image. 25. "More than I need to know!" : TMI. Too Much Information. 30. Mrs. Gorbachev : RAISA. Here with Rev. Moon. 32. Sci-fi's Lester __ Rey : DEL. 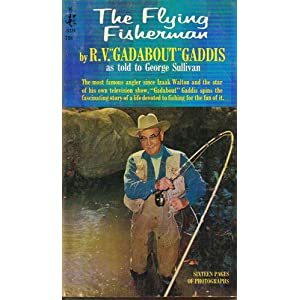 American science fiction author and editor. Del Rey is especially famous for juvenile novels. 34. Jumping chess piece : KNIGHT. Moves are L-shaped. 38. Comm. for the hearing-impaired : ASL. American Sign Language. COMM stands for communication, in this case? 48. Where YHOO stock is traded : NASDAQ. Yahoo!, not Yoo-Hoo. 49. China's Sun : YAT-SEN. The foremost pioneer of Nationalist China, Sun is frequently referred to as the "Father of the Nation" (國父), a view agreed upon by both the People's Republic of China and the Republic of China. 65. Former Opry network : TNN. The Nashville Network, is usually referred to as TNN. The Opry was aired from 1985 until 2000 on TNN. I'd like to share with you this beach "postcard" I got from JD. So sweet! Here are a couple of Nenes. JD said: They plan to catch all of them and transfer them to Maui. When we first started going to Kauai, about 15 years ago, there were about 20 pairs (they mate for life) and were on the endangered list. They have multiplied and nest and congregate too close to the airport. Many of them live at the Kauai Lagoons Golf Course which is next to the airport. Theme: Fill It Up - First word of the first four theme entries represents the descending levels of the unifier leaving just a drop at 66A. 38A. NCAA Elite Eight team : QUARTER-FINALIST. Between the Sweet Sixteen and the Final Four. 50A. Parent whose kids have moved out : EMPTY NESTER. Argyle here. Cute theme. 1-Across sets the level for the puzzle, I felt. Some of the cluing was dodgy. Neat how GAS fit under the GAUGE; that's when I buy gas. 6. Inst. that turns out lieutenants : OCS. Officer Candidates School. 9. Poker game similar to Texas Hold 'em : OMAHA. Player receives four down cards instead of two but must play only two of them. 14. Polynesian greeting : "ALOHA"
17. Crest dispensers : TUBES. May have ADA on them. 20. Turf grabbers : CLEATS. Cartoon of a ball player, wearing cleats, making a shoestring catch. 29. Temple with a minaret : MOSQUE. Image. 44. Faux __: blunder : PAS. May result in a "mea culpa". 48. 41-Down sound in the comic "B.C." 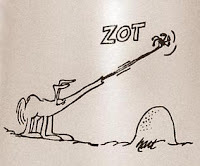 : "ZOT!". This guy. 41D. Threat to tiny workers : ANTEATER. This action. 57. Civil rights org. : ACLU. American Civil Liberties Union. 21. Seven, in Sinaloa : SIETE. Sinaloa is a Mexican state. Map. 26. Sac between a bone and tendon : BURSA. Inflammation of a bursa is bursitis, most commonly of the shoulder. 32. 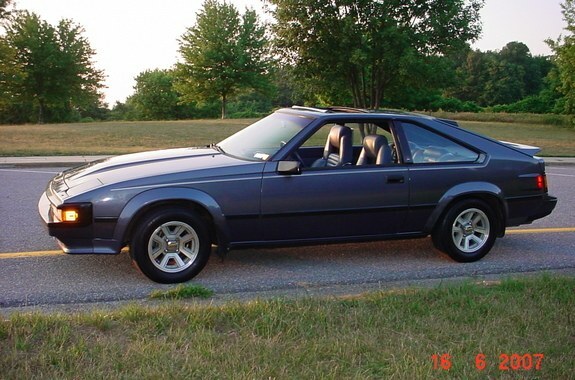 Old sporty Toyota : SUPRA. Early, Late. 35. "__ tree falls ..." : IF A. Did you hear that? 47. Song spelled with arm motions : YMCA. No, no, no! No clip! 51. Spark providers : PLUGS. Barney Google and Spark Plug. 53. Rosetta __ : STONE. Image. The Rosetta Stone is an ancient Egyptian stele inscribed with a decree issued in 196 BC. The decree appears in three scripts: the upper text is Ancient Egyptian hieroglyphs, the middle portion Demotic script, and the lowest Ancient Greek. Because it presents essentially the same text in all three scripts (with some minor differences between them), it provided the key to the modern understanding of Egyptian hieroglyphs. 60. Jeep or Land Rover, briefly : UTE. Any type of utility vehicle.